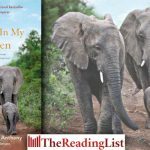 Join Pan Macmillan for a book signing with Françoise Malby-Anthony, the author of An Elephant in My Kitchen, at Bargain Books Canal Walk. 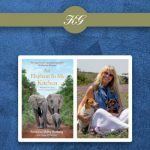 Join us at the launch of An Elephant in My Kitchen by Françoise Malby-Anthony with Katja Willemsen. Françoise will be in discussion with CapeTalk presenter, Pippa Hudson. Join us at the launch of An Elephant in My Kitchen by Françoise Malby-Anthony with Katja Willemsen. Françoise will be in discussion with the editor of Skyways magazine, Bruce Dennill. 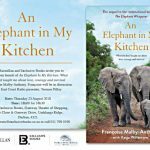 Join Pan Macmillan at the launch of An Elephant In My Kitchen by Françoise Malby-Anthony with Katja Willemsen. An Elephant in My Kitchen is the powerful and moving sequel to the bestselling The Elephant Whisperer. Pan Macmillan is proud to be publishing An Elephant in My Kitchen, the powerful sequel to the bestselling memoir The Elephant Whisperer by Lawrence Anthony.